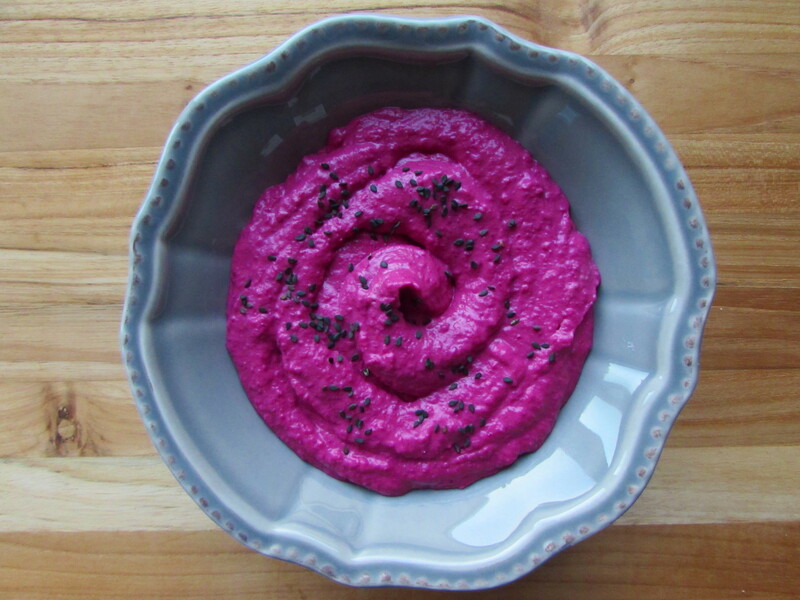 This hummus is inspired by Trader Joe’s all-too-addicting beet hummus (of which I may or may not have eaten the entire container in 2 days…). 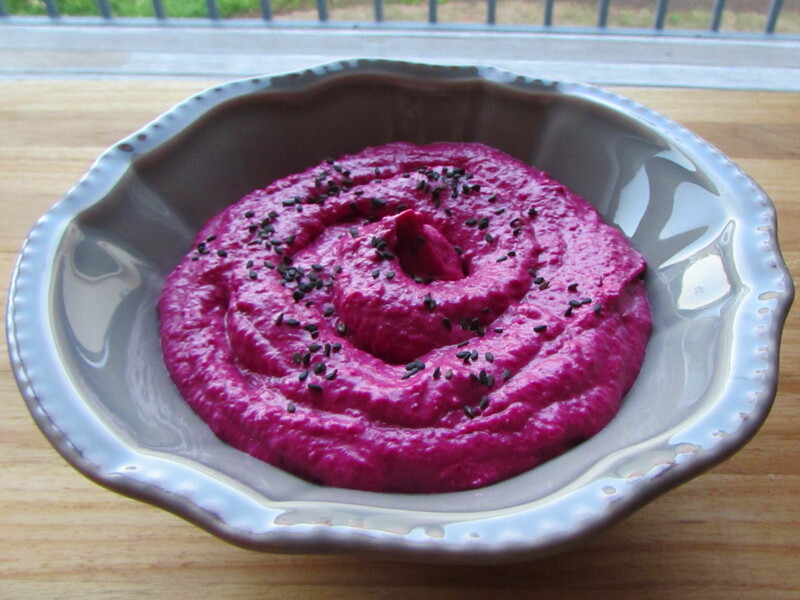 It is creamy from the tahini and white beans, earthy from the beets, and zingy and sweet from the balsamic vinegar. It’s pure heaven is what it is. I imagine you could make a mighty fine hummus sandwich with this beet hummus, some sprouts, shredded carrots, and sliced cucumber. Or you can just take a small (large?) container of this and bring along your favorite dip-worthy veggies. Or you can fix a salad and put a hearty dollop of this in the center for some staying power. Hummus invites so many quick lunch ideas. 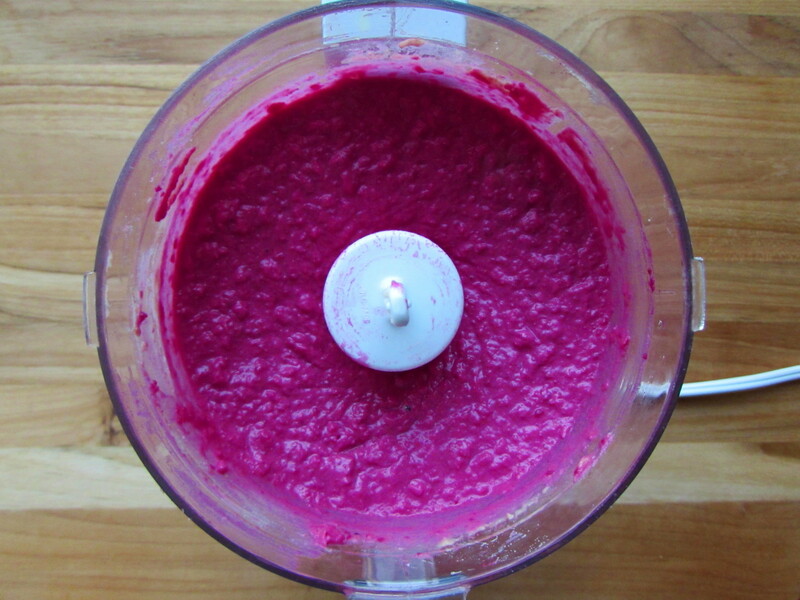 Place everything in a food processor and blend until smooth. Sprinkle with black sesame seeds for a pretty garnish, if desired. Dig in!